Chris Foley doesn’t let her bowel disease define her. Although Chris suffers from Crohn’s Disease, you’d be forgiven for not realising it. Chris is continually putting others before herself. She faces adversity head on and channels her energy into positive outlets. Consistently wearing a bright smile and confidently delivering the message “You can do it”. When someone is such a beacon of positive energy it can be difficult to see what is going on under the surface. Chris continues to support St Mark’s and the medical research carried out here for the benefit of patients everywhere. Especially those such as her daughter, Ayllah-Beau Foley, who suffers from Gastroparesis. Chris Foley is synonymous with the word fundraiser here at St Mark’s, and she has lead a fundraising campaign which has raised over £70,000 for medical research into bowel disease. These vital funds enable St Mark’s to conduct the research needed to ensure that treatment and medical care is the best it can be. You can stay up to date with Chris’ fundraising by clicking here! Although Chris is not a patient of St Mark’s Hospital, she understands how scary it can be to be faced with bowel disease, especially whilst trying to live a normal life and manage everything else that comes with it. Chris does all of this whilst leading a particularly busy life, whether it’s caring for her 7 children, her pets, or raising vital funds for St Mark’s Hospital. Chris takes it all in her stride. She also has a detailed understanding of the difficulties that children and young adults face when dealing with bowel disease. 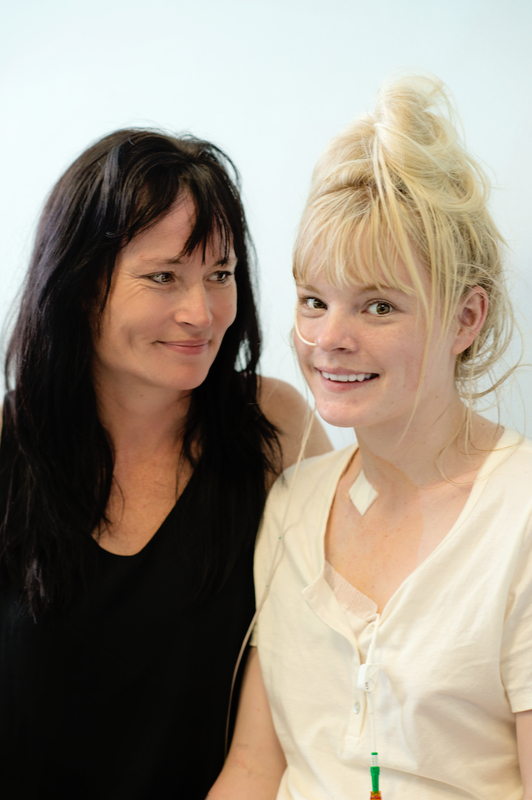 Ayllah-Beau Foley, Chris’ daughter, was referred to St Mark’s Hospital at the age of 19, so that her very serious bowel disease could be treated effectively. Chris has a fantastic family and it’s hard to think of a better example of great parenting than Chris. Trials and tribulations comprise her day-to-day life and yet she’s always looking to channel positivity and recognise opportunity. None of this is lost on her children and together their family supports one another through all of their challenges. Chris’ positive attitude is illuminated by her nomination for ‘Parent of the year’. An award given by Breeze radio station. Chris was nominated by her daughter, Jade, and you can follow Chris’ journey and support her by clicking here! Voting for Chris will help to highlight the work of St Mark’s too! St Mark’s Hospital Foundation succeeds when our community comes together. When patients, families and loyal supporters choose to support St Mark’s, an incredibly positive feedback loop is created. St Mark’s Hospital and the Foundation are very grateful to those who support, help, and inspire within the community. People like Chris, and everyone else that motivates us to achieve a future free from the fear of bowel disease. Together we can do more.